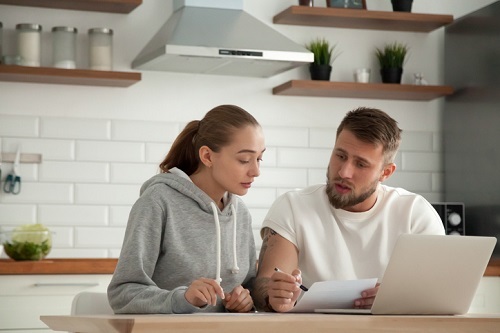 A newly released analysis by the Canadian Department of Finance warned that younger (under 45 years old), middle-income households, along with self-employed individuals, are exposed to the greatest risk of feeling the negative effects of the recent BoC interest rate hikes. They are also more likely to be residents of British Columbia and Ontario, according to the analysis acquired by The Canadian Press under the Access to Information Act. “The expected increase in interest rates over the next few years will have various impacts on Canadian households, including an increase in the cost of servicing debt,” the Finance Department stated. “Naturally, households with high debt levels would see the largest increases,” the report added, noting that approximately 70% of Canadian households are carrying debt. The Finance Department said that households already holding debt-to-income levels of at least 350% are at the greatest financial risk at the moment. Data from Statistics Canada showed that Canadian consumer credit grew from $608 billion in May 2018 to $612 billion in June. Indebted Canadian households said that mortgages – which comprise as much as 85% of their total accountabilities – are the main expense affecting their financial stability.